What value does Steemit bring to your life? I'm avoiding coversations about the US Dollar value of the Steem/SBD tokens. Price is ultimately a subjective opinion of the usefulness of an item. Prices will and should fluctuate in order to accomodate market conditions. I avoid coversations about people losing fiat money here because sadly most people are here only for the money. Money is a system of measurement. I will repeat that: Money is a system of measurement. Any item that is intended for sale or consumption has a price. A price can be interpreted as what is the general consensus of what a specific is worth. In other words, what are other individuals willing to exchange for that specific item? Since money can be fiat, silver, gold, cryptocurrencies, and others defined as "currencies," we select a currency to display a price. So, a monetary price is only a measurement of something of value. In all trades, I think it is implied that you must exchange value for value. This is the way that markes work. Peer to peer true value exchanges. There is no other way. If you are here with any idea to make "easy money," then you may be mistaken. There is no such item as easy measurements. To make it "easy" you have to violate the rule of value-for-value trades. In other words someone would have to cheat, commit fraud, theft, or swindel to acquire any easy tokens. What ever the action is called, the point is that it would be a trade of nothing-for-value. There is no gain such a trade; no value added. This is all much more esily summarized on the popular phrase: you cannot get something-for-nothing. So I ask again, what value does Steemit bring to your life? Why do you enjoy coming here? Whatever your reason is... THAT EXACTLY is what makes this all valuable. I am talking about the comedy, the original content, the technical how to posts, videos and even cat memes. 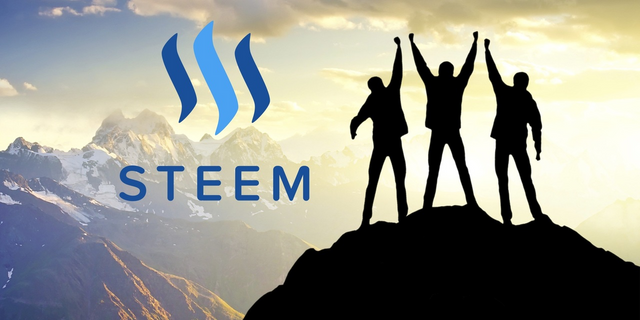 If it is worth seeing on Steemit, then it is adding value to Steemit. The very fact that you dedicate time to something defines it as valuable. I personally come here for the alternative news, the free thinking minds, and because I can freely post whatever I would like. I find VALUE in those things, so I upvote them, resteem and comment. True value on Steemit is original, entertaining, well curated content. Let's make more great content. Let's make something new that can only be seen exclusively here on Steemit. That is the only definite cure for a low Steem price. What content do you think is valuable? Just another dude working to make this planet a better place.